If you’re not familiar with our grid component yet, then you should know that dhtmlxGrid is a js data grid control with a range of powerful features, fast performance and ability to work work with big datasets. dhtmlxGrid has such an extended functionality, but in this article we’ll point out top 5 samples that are most popular among our users. 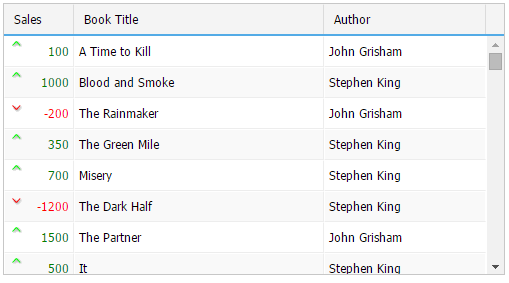 Our grid library also provides an extension for filtering data on the client-side. 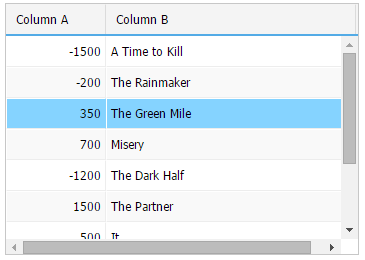 You can set filter for different columns in grid. Still the most used way for data loading is loading from JSON format, you can use 2 JSON formats – Basic and Native. Documentation can be found here. 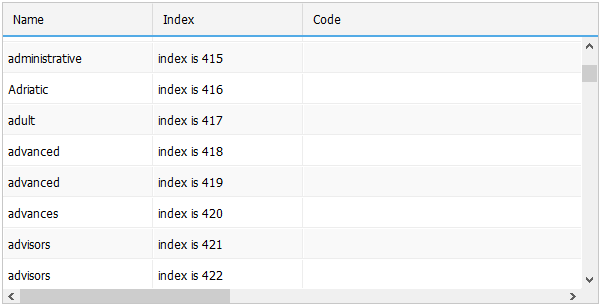 50,000 records in our js grid table is not a limit, but still check the sample and enjoy smooth performance. In this sample we put 50,000 records into a table in a Mysql database filled with random words. 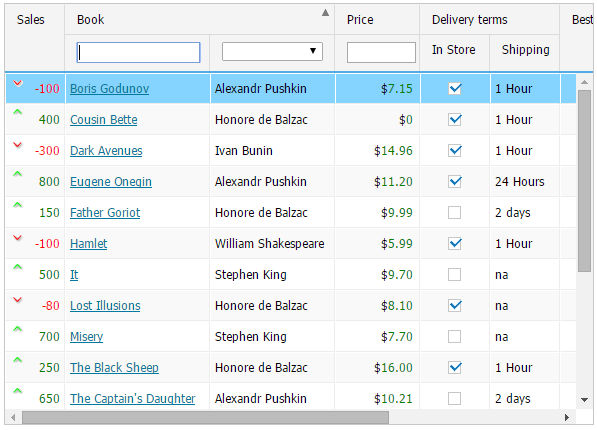 dhtmlxGrid using Ajax loads visible records only. Find related docs here.